The twenty-first century exploded into the global imagination with unforgettable scenes of death and destruction. An apocalyptic 'clash of civilizations' seemed to be waged between two old foes - 'the West' and 'Islam.' However, the decade-long and ruinous 'war on terror' has prompted re-assessments of the militaristic approach to Western-Muslim relations. A growing number of academics, policymakers, religious leaders, journalists, and activists view the struggles as resulting from a 'clash of ignorance.' 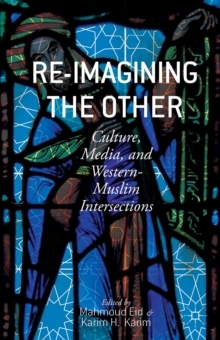 Re-imagining the Other examines the ways in which knowledge is manipulated by dominant Western and Muslim discourses. Authors from several disciplines study how the two societies have constructed images of each other in historical and contemporary times. The complexities and subtleties of their mutually productive relationship are overshadowed by portrayals of unremitting clash, thus serving as encouragement for the promotion of war and terrorism. The book proposes specific approaches to re-imagine the Other in order to mitigate Western-Muslim conflict. Pages: 250 pages, X, 250 p.